Born on the streets and prisons of East Los Angeles, black and grey tattooing has a rich history and is one of the most popular styles of tattooing. The style originated in prisons, where inmates had limited access to materials and were forced to create their own inks and needles. Inks were made by using ash or pen ink diluted with water to create shades whilst needles were made with guitar strings. Once inmates left prisons and integrated back into society their artworks could be seen by the general public. 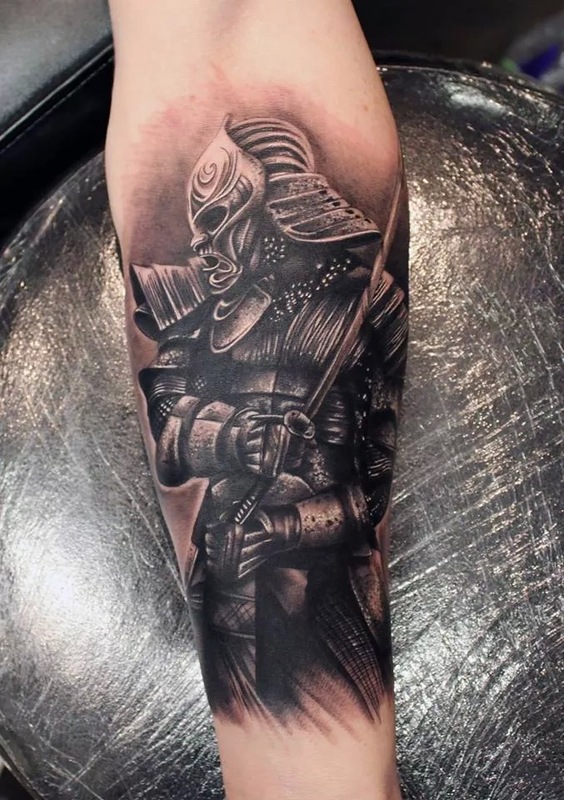 This spawned a new age in tattooing whereby people were visiting tattoo parlours and wanted to emulate the grey scale and fine lines seen in prison tattoos. As this style rose in popularity, black and grey tattooing became a style of its own. Today black and grey tattooing is produced by diluting black tattoo ink with distilled water. Black and grey tattoos are characterised by fine lines and smooth shades of black to grey to create varying contrast levels.